‘Scream’ Review: Is this the End? ‘Scream’ Review: How do Emma and Audrey Save Themselves? 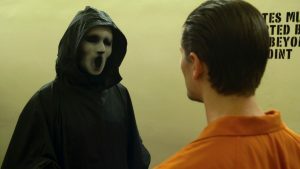 ‘Scream’ Review: So Many Shady Characters, But Are any of Them Real Suspects? ‘Scream’ Review: Is Audrey More Innocent than we Thought? ‘Scream’ Review: What Will Noah Do Now that He Knows About Audrey?